I've got no idea what causes De-Sync, other than a mission initializing. during a session it should not de-sync. I suggest a lower MaxMsgSend, and higher MaxSizeGuaranteed. I do my testing with both client PC, and Dedicated server pc on a 1Gbps LAN. With MaxMsgSend setting, and MaxBandwidth I set my server for the internet connection, which is 2.2Mbps ( I only set for 2Mbps ). Again, you must configure your server for its bandwidth or like the above statement, makes little sense. Go for a more conservative Max/MinBandwidth setting, like 20 or 25Mbps. Either of which are still significantly more than my piddly 2.2Mbps upload speed. ServerBeach (my last dedi box) is a Peer1 dual OC192 fatpipe. I had options of 10mbit port or the 100mbit port. Those are just the network to the fatpipe. I actually had 28MB up, 6MB down with the 100mbit. That comes with the basic packages. Now, of course you can pay $1500+ extra per month and get the solid up/dn speeds of the fatpipe. But who would pay that for gaming? Buddy... honestly what makes you think my host doesnt give me what I pay for.... jeez.. IT didnt work IT caused desync and this has nothing to do with my 100mbit connection which btw is on the killercreations network,,, pretty good network. Gossamer, have you tried these settings buddy ? Now I will try some of the other suggestions.... not sure what the causes of the desync are myself buddy BUT it isnt mission specific on this occasion, same mission other stock KH settings no desync.. .. THank you for your help bud. ServerBeach (my last dedi box) is a Peer1 dual OC92 fatpipe. Really hard to say, if commenting out the MaxSizeNonguaranteed line is a benefit. Still see the AI stutter a bit around the 1km mark. But its not consistent. I got a second local client, and my client lined up for weekend testing. Guess we'll see how it goes saturday. I haven't gotten to test any of these very well as I've only had like 4 people on to test with. Good Ole' InterNAP and their strong networks. You guys accross the water have some serious connections... very jealous bud..
And server performance was the same, but Client-side performance was way better while on the server with more units on the map. Could Server bandwidth settings affect Client FPS? EDIT: Just realized the bandwidth was set for 2.0 - 2.2 mbps. I've set it to 20 - 22mbps for a future test. I'm getting something similiar to that on 100Mbps LAN. The server FPS is very low, but still in double digits. Its ok for the the other LAN client, but mine is stuttery in and near towns. I'm going to leave the MaxSizeNonguarantee'd commented out, and raise MaxSizeGuaranteed and lower MaxMsgSend, until it stops, or I see no change. Again, for 100Mbps LAN. Weirdly enuff the server monitor has yet to register over 256Kbps out for both clients. I'd also be very interested in that stripped down, possible benchmark-mission. Do not put the dedicated server bandwidth tuning lines in a client's *.cfg. It does cause a ton of additional stutter, and likely the cause of all the stutter I got near towns. 2 hours in Benny 2.066 and fps at 25, removed a few ai teams, 12v12 insteada 16v16. Not doing the 100Mbps LAN config, back to 2Mbps config, I have 2 LAN, and 1 Internet clients. Each seem to be getting about 256Kbps each, server bandwidth is staying right around 768Kbps. what was the server fps? Btw Not really understanding the post regarding the clients *.cfg ? could you clarify please.. I'm not sure what your point is, Jman. If you do not define the bandwidth requirements, then the application does what it wants. Altering the MaxMsgSend, and the packet size, I managed to configure the server to use 100Mbps-LAN, and it sent me 12Mbps to just me alone. Do what you will of others' information, or do your own research? I saw your settings and to be honest there just awful. Anyone who can recommend using MaxMsgSend=204800 has no idear. Thats just insane. Even 2048 would cause huge desync problems. You think sending 12Mbps to you alone is good? Why try give a server more bandwidth then it needs. Just causes problems. My ofp res server and arma server use around 4.5mbit for around 32 players. If i was to set a 32 player cti server to use 20mbit like some pvp servers use for 100 players then id get huge desync problems. Have you actually tested your settings with atleast 32 players? Any settings can appear to run fine with few players. Have you actually tested your settings with atleast 32 players? Any settings can appear to run fine with few players. We are trying some of the settings back an forth now. The funny thing is the setting thats we are trying now. Server FPS at around 10-15 from the start with around 20 ppl online and it seems to hold 10 FPS untill the game finish (2-3hour sessions with more or less players thrughout the session), but studdereing and rubberbanding is much less... allso desync is much less. Takistan seems to have more problems than Chernarus FPS whize wich is really strange to me, since i think of Takistan to be less demanding, but this might allso be scripting or mission build. Or it might be that the new settings is actually holding back information ? (kind of like a racing motor in a Lada :p) I guess (for us maybe) the FPS counter might not be telling the whole truth and cant be the only parameter to look at when tuning the server. Is there a good way to use the monitor command and if so would anyone care to give me some more insight pls? I saw your settings and to be honest there just awful. Anyone who can recommend using MaxMsgSend=204800 has no idear. Thats just insane. Even 2048 would cause huge desync problems. When the packet's size is adjustable, you have complete control of how much bandwidth you can use. Sounds like a great idea to me! If some people are smart enough to use math. If during research you discover that the server can and will use more bandwidth during, if configured to do so. Obviously, you did no such research. I'm at least trying other things, and not guessing what it should do. If I knew 32 people who has this game, I'm pretty sure we would put money together to rent a dedicated server on a 100Mbps internet connection, and not my piddly 2.2Mbps-UP Cable connection. 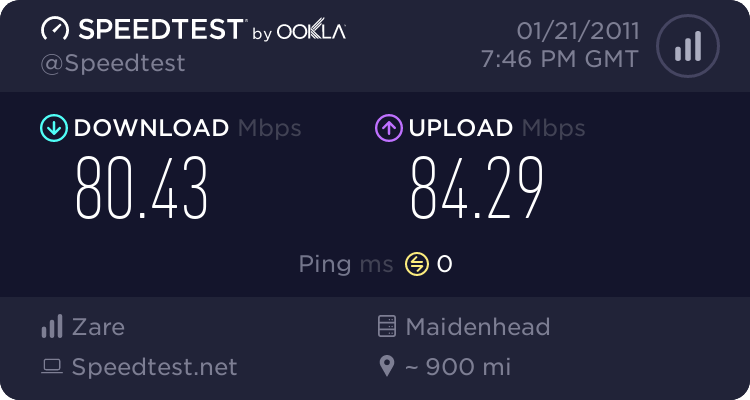 I will add, the testing done yesterday with the MaxSizeGuaranteed set to 32, I ended up restarting, at 64, and MaxMsgSend to 104200, which again, equals 100Mbps, for the math-challenged peoples. Removed bandwidth in general as part of the serving problem. 2 Lan clients recieved a steady 256Kbps. Later switched to Internet, 2Mbps up. Which also means mathematically less MaxMsgSend.... and got similiar bandwidth usage, approx. 256Kbps per client, oddly enough on internet the bandwidth fluctuated more than on LAN. I guess (for us maybe) the FPS counter might not be telling the whole truth and cant be the only parameter to look at when tuning the server. If you are using warfare, it's as accurate as can be. It's made with this command: http://community.bistudio.com/wiki/diag_fps. Commenting out MaxSizeNonguaranteed provides the best solution to AI Stutter. It is positively less. Yeah - but fiddeling around with the settings seems not only FPS is a value that describes how players experience the game oddly enugh. If you need some info about running a 32 player server then all you need to do is ask,, you dont need 32 more friends, we can help. It's also hard to determine what the "Best" config is as we all have different connections and different hardware/software running on our boxes. Plus we are running different missions in some cases as well. I might suggest that there is another layer that is important to these settings which hasnt been disucussed -- thats the MTU (Maximum Transfer Unit) of your LAN and/or internet connection. 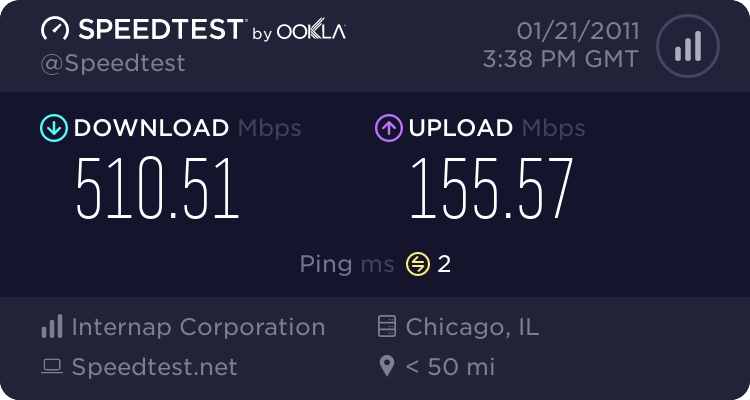 MTU 1500 is the norm, and apparently optimal when running over a DSL or cable modem (3-6Mbps down). One of the factors which should be considered is how well the data/msg sizes fit in a single eithernet frame at 1500 MTU (or a higher MTU if you decide to change that). Msgs sent which are not a multiple of MTU will necessarily be fragmented, and could take 2 ethernet frames to complete, rather than just 1. The MTU of the interface does include header data, so adjusting your msg sizes to the actual data /payload/ size of your ethernet frame should be the most efficient way of using the underlying network. Any multiple of your (MTU size - header data = payload size) should be the most efficient use of your underlying network. I run a small server on a 1Gbps LAN, and have been playing with the settings a bit. With one of 2 users the #monitor data indicates very low network useage, and thus it wouldnt seem that with a small number of users that network bandwidth/useage is a factor. The minerrortosend fixed my AI rubber-banding issues for the most part, as I have it set to .005. I think the rest of the issue is simply CPU load, and how long the CPU takes to make a complete game update cycle. The more AI and objects it has to deal with, the harder it is to push through updates on them all. Having the network settings set aggressively (like with a high maxmsgsend) might look good at first, but it also might take CPU cycles away from game processing. Tuning is never straight-forward. Its always a balance. Enjoying the thread. Thanks all for your work. After testing multiple settings this weekend with full servers (mission Gossamers warfare) we have found what we consider to be close to optimal settings for Takistan. Snipers and regular classes report a much more fluid and better experience. The same settings in Chernarus however will not produce the same result and we will try tweaking to find the same optimal experience for that island and put this on a separate server. Server 1 and server 2 / Takisatan and Chernarus, compared to before when we had a negible settings that could run on both islands with what seems to be a inferior experience compared to splitting the servers by islands. MTU is interesting, besides that, maybe the netsh commands have some influence?